Computer studies of ocean floors around the world, particularly the area known as The Bermuda Triangle, reveal evidence of massive methane explosions in the past. 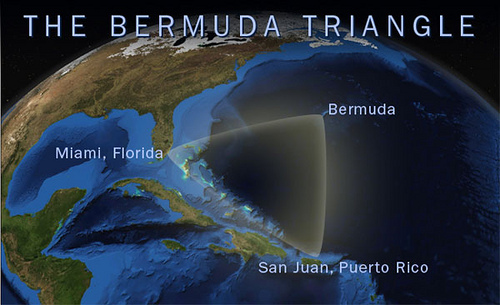 For years, believers in the paranormal, aliens, and other outlandish theories pointed to the the disappearance of ships and aircraft as an indicator of mysterious forces at work in the “Devil’s triangle.” Scientists have finally pointed the rest of us to a more plausible cause. The presence of methane hydrates indicates enormous eruptions of methane bubbles that would swamp a ship, and projected high into the air- take out flying airplanes, as well.